The Santa Barbara Symphony continues its beloved tradition of New Year’s Eve Pops, this year featuring the magic of the music from Motown, with Dancing in the Streets: The Music of Motown and More, A Symphonic Tribute to Motown on Monday, December 31st from 8:30 -10:30 pm, at the historic Granada Theatre. 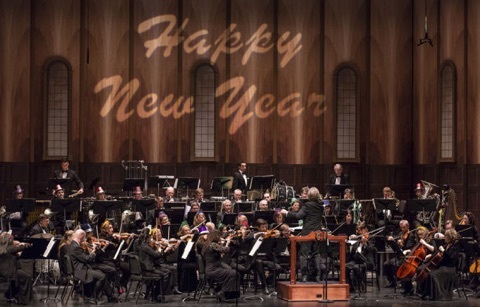 Bob Bernhardt returns as guest conductor for this festive New Year’s Eve tradition. This year the musical celebration also features the soulful vocals of three talented artists, American Idol finalist Michael Lynche; Broadway veteran Chester Gregory; and New York City-based vocalist and songwriter Shayna Steele. These talented vocalists will perform authentic arrangements and popular favorites including Dancing in the Street, Let’s Groove Tonight and Signed, Sealed, Delivered I’m Yours, channeling all the great Motown artists like Marvin Gaye, Earth, Wind & Fire, Stevie Wonder and more! Get your groove on and ring in the New Year with the Santa Barbara Symphony’s New Year’s Eve Pops, guaranteed to get you “Dancing in the Street!” For tickets click here or call the Granada Box Office at (805) 899-2222.